The latest openSUSE Leap release, 42.3, has been launched on July 26. You can upgrade from the 42.2 to the 42.3 release in the same way as you upgraded from the 42.1 to the 42.2 release, the step by step is very similar. If you havent’t upgraded openSUSE yet, you are going to realize it is an easy and safe procedure. Continue reading to know how to upgrade your openSUSE Leap installation from 42.2 to 42.3. The step by step I present here is based on the openSUSE wiki’s SDB:System upgrade page, whose instructions I followed to upgrade my system. That page has changed little since I started using openSUSE. It presents a safe upgrade procedure, which should work for most cases, but requires some cautions. You must be using the immediately previous openSUSE release. It means that if you want to upgrade to 42.3, now you must be using 42.2. Hopping over one or more releases is not supported. It may work, but that is not guaranteeded. So if you use openSUSE Leap 42.1 now, for example, you should first upgrade to 42.2, and then to 42.3. If that is your case, you should first read this another post and then come back. Your openSUSE installation must be up to date with the latest updates for the release you are currently running. Here, we are going to both update and then upgrade. Let me clarify something, in case it sounds confusing: by update I mean update just a few packages without actually moving from one release to another. By upgrade I mean update the whole system to move to the next release (e.g. from 42.2 to 42.3). You should read about the openSUSE release you are going to install. Take a look at the release notes, which list changes and glitches in the new release. You must backup all important data. Even though upgrading openSUSE is a safe procedure (that resembles upgrading Debian, for those who know it), it is not perfect. Winning the lottery is difficult, but eventually someone wins. Something may go wrong during upgrade, although it is difficult, especially if you act cautiosly. I myself have been using openSUSE for some years now, and always have upgraded from one release to another without a problem. Anyway, it never hurts to make a backup of your personal files as a precaution, especially if the /home directory is not on a dedicated partition. If the computer is one that should not be down for long (a server, for example), consider backing up the entire system, so you will be able to restore it immediately if something does not work as expected. You should not use third party repositories during upgrade. Before upgrading, we are going to remove all third party repositories. Doing that may cause third party software to be removed during upgrade. If that happens, you may try to reinstall it later. It is not that you cannot upgrade with third party repositories enabled, but using only the official repositories is more guaranteed. That way, the base system will be upgraded to a new stable, solid and reliable base. Then, on top of that base, you can install whatever you want. Do different only if you know what you are doing. I also recommend that you read this entire page before you start. I’m going to break the upgrade process down into 6 steps for better understading. Once you know the whole process, you will be able to better schedule it. You can even use your computer as normal while you follow the step by step, but after you start actually upgrading, your computer will become usable again only after upgrading is completed. Make sure your current openSUSE installation is up to date. You can get software updates using the graphical user interface (GUI) or the command line interface (CLI). I use the GUI whenever possible, but using the CLI brings us some advantages: zypper allows us to only download updates in a first moment and then install them later. If you are not familiar with the CLI, you will realize that it is not difficult to use. If you are familiar with Windows, perhaps you think Terminal resembles Windows’ Command Prompt. If that is the case, then follow the onscreen instructions. To update your system using the CLI, you can use the zypper package manager. Not every user is allowed to call zypper, only the superuser or administrator (the root user) is able to do that. If you are not used to that notation, it means type su and hit Enter. The dollar sign ($) is not part of the command and should not be typed, it only indicates the command can be run by any user. Soon you are going to see commands that need elevated privileges to be run (i.e. by the root user). These are indicated by the hash sign (#). The su command asks you the root password, which you must provide to go on. Type the root password and hit Enter. Please note that nothing will appear on screen as you type the root password, this is intended. It shows what needs to be done to update the system and asks if you agree. The default option is to continue (y). If that’s what you want, you can just hit Enter and update will begin. When the system comes back, it will be fresh new and clear, without risk of malfunction. That means there are no more updates to be installed: your system is up to date. Actually, this step is optional. You may want to back up your current list of repositories to return them after upgrading. openSUSE saves repository settings in the /etc/zypp/repos.d folder. It has some text files, one for each repository. Let’s copy the repos.d folder, in /etc/zypp/, to another one in the same place, called repos.d.old. It is easier to use the CLI for that. Enter the root password to continue. If you have not made a backup of your data yet, consider doing that now. openSUSE-Leap-42.3-OSS: the main repository, contains open source software only. openSUSE-Leap-42.3-Update: contains official updates for OSS packages. Let’s clean up our repositories removing any repository we won’t need (including any third party repositories). You will be asked the root password. For each repository that is neither openSUSE-Leap-42.2-OSS nor openSUSE-Leap-42.2-Update, select it in the list and click on Delete (no typo, we are managing old repositories, the 42.2 ones, we are going to switch to the new ones soon). Maybe those repositories are named differently on your system. If that is the case, try to recognize them by their URL instead of their name. If you don’t find them, there is no problem: delete all repositories and just add the new ones in the next step. Now let’s move to the new release’s repositories. Select the openSUSE-42.2-Leap-OSS repository and click on Edit. Do the same for the openSUSE-Leap-42.2-Update repository. Click on OK to save changes. You can close YaST. We can start downloading the packages of the new openSUSE release. That list of actions is similar to that produced by zypper up, presented in the first step. However, as we are now doing a distribution upgrade, and not an ordinary update, the list of what needs to be done is much bigger. Review that list carefully. You can go up or down using the scrollbar at the right of the window or the mouse wheel (scroll wheel) if you are using Terminal, or the Shift + Page Up / Shift + Page Down key combinations if you are using a purely textual interface (they also work in Terminal). The default option is to continue (s). If you agree, you can just hit Enter and downloading of the new packages will start. Meanwhile, you can use your computer normally. The upgrade itself has not started yet. That’s because we invoked it with the --download-only option. Finish what you are doing and save any open files so we can start upgrading. Note that upgrading may take several minutes and you will be able to continue using your computer only after it is complete. Now that we have already downloaded all the packages needed to update our openSUSE Leap 42.2 to 42.3, we need to leave the desktop environment and use the pure textual interface to perform the upgrade. Here on, you cannot use Terminal. That is necessary because the desktop itself will be upgraded. If we run the upgrade while still using the desktop, it may stop/crash, causing the upgrade to abort, which in turn left the system in an inconsistent, unpredictable state. Consider opening this page on another computer (or on a mobile device), print it or take note of the next actions. If you are upgrading a laptop system, make sure its battery is fully charged and its AC adapter is plugged in. Do not remove the battery or unplug the AC adapter during the upgrade. We want to prevent any possibility of problem. If that was new to you, know that Linux provides six consoles (terminals) besides the graphical interface. You can use the keys F1 to F6 in that same combination (Ctrl + Alt + F1, Ctrl + Alt + F2 and so on) to switch between consoles, pressing Ctrl + Alt + F7 you can return to the graphical interface. But let’s stand on the first console. Login as root. To do that, type root and press Enter, then enter the root password and press Enter again. Let’s switch from runlevel 5, the default runlevel, in which the system provides the GUI, to the runlevel 3, in which we have only the CLI and network connection. The --no-refresh option makes zypper not retrieve the list of packages from repositories. Using that option, we ensure that zypper won’t try to download any package in addition to those we have already downloaded. That can be useful especially for laptops, which may lose the Wi-Fi connection when leaving the GUI. Note that all the needed packages have already been downloaded: at the end, zypper’s report shows “Overall download size: 0 B. Already cached: 1.21 GiB”. Just press Enter to start upgrading. Distribution upgrade may take several minutes. If you did everything up to here, now your computer is running openSUSE 42.3 Leap. And voilà! openSUSE Leap 42.3 is installed and ready for use! Make sure everything is in place. You may also try to install any program that perhaps has been removed during the upgrade. Remember to regularly check for updates for your new distribution. If you find any difficulty during the upgrade or have any questions, don’t hesitate to comment! Did you like it? What about sharing? 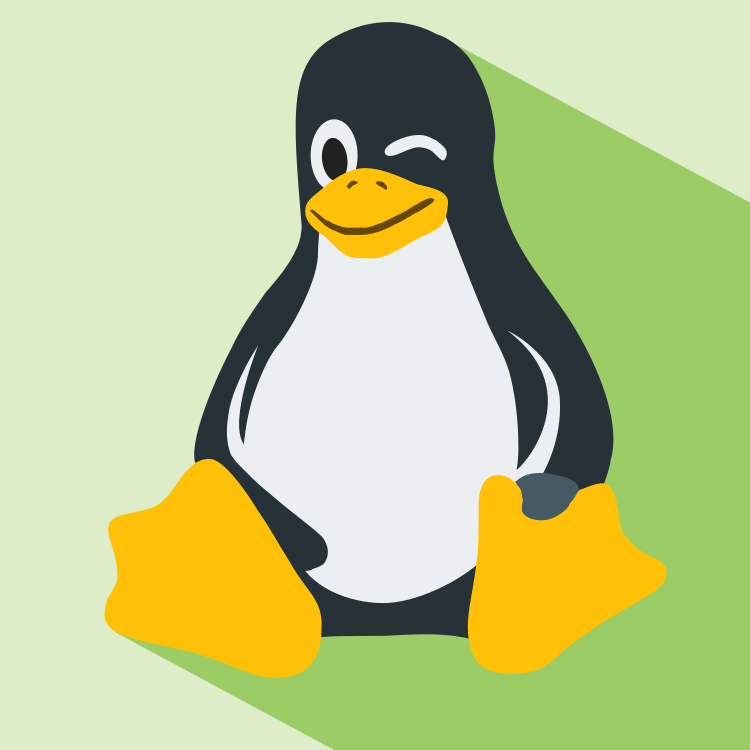 The Linux Kamarada Project is a new project that aims to spread and promote Linux as a robust, secure, versatile and easy to use operating system, suitable for everyday usage be at home, at work or on the server. The project focuses mainly on distribution and documentation. Copyright © 2019 Antônio Vinícius. All rights reserved. Based on Material site template for Jekyll PLUS.